One of our goals is to see 500 Te Arawa people supported into skilled employment by the year 2020 through our scholarship programme. Each year, we offer scholarships worth $1,000 per annum to our tertiary students. Applications are available in December of each year and close the following February. All of our successful recipients attend a wananga in the first weekend of the school holidays which is in either April/May of each year aimed at nurturing and supporting our Te Arawa scholars. Our 2019 Scholarship round is now open. The Te Arawa Fisheries Iwi Partnership Programme seeks to establish partnerships between Te Arawa Fisheries and Representative Iwi Organisations that will deliver community projects that provide direct social benefits to iwi members. 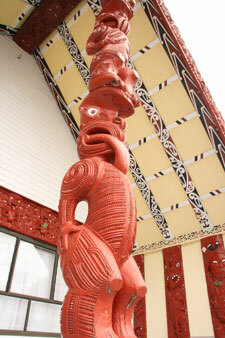 Talk to your Representative Iwi Organisation if you have a project that might be suitable. Contact us for more information. We provide 20kg of frozen fish fillets for all tangihanga held on a te Arawa Marae (where the iwi of that marae is represented on Te Kotahitanga O Te Arawa Waka Fisheries Trust Board.) Please call our office on 07 349 3227 during business hours or 027 3000 154 after hours with details of the tangi to arrange collection. Please do not contact others or our Te Arawa Fresh stores to make these arrangements. Tangi must be held on a Te Arawa Marae that belongs to an iwi represented on Te Kotahitanga O Te Arawa Waka Fisheries Trust Board. If you have any issues or queries please call the office to discuss. Protecting, restoring and enhancing our marine environment are important to taking care of our fisheries, whether customary, commercial or recreational. We are proud to support our iwi in looking after our moana and our Te Arawa Moana Plan sets out our plans for the future. Click here to view. Staying in touch with our iwi about what we do is important so we are keen to encourage as many of our people to register. Please complete a registration form to be added to our database and ensure you receive your benefits.